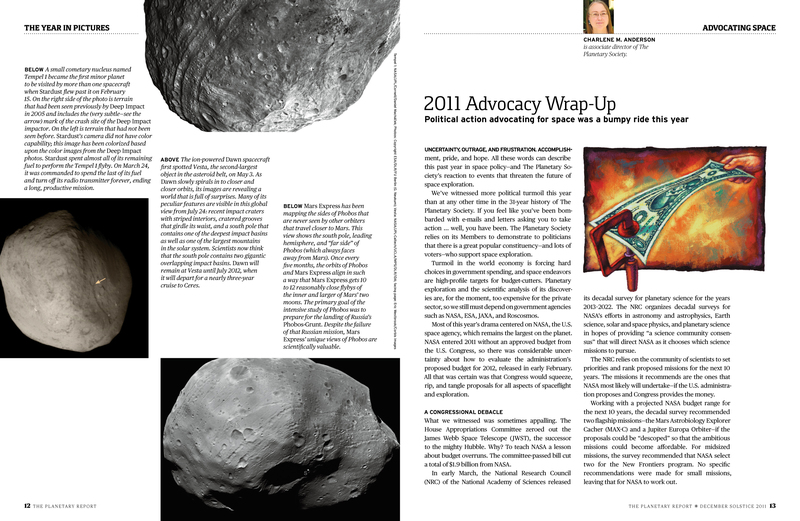 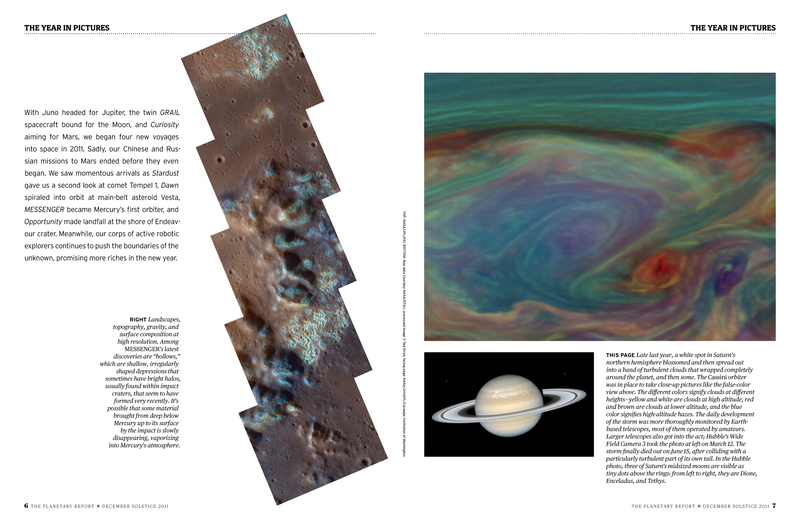 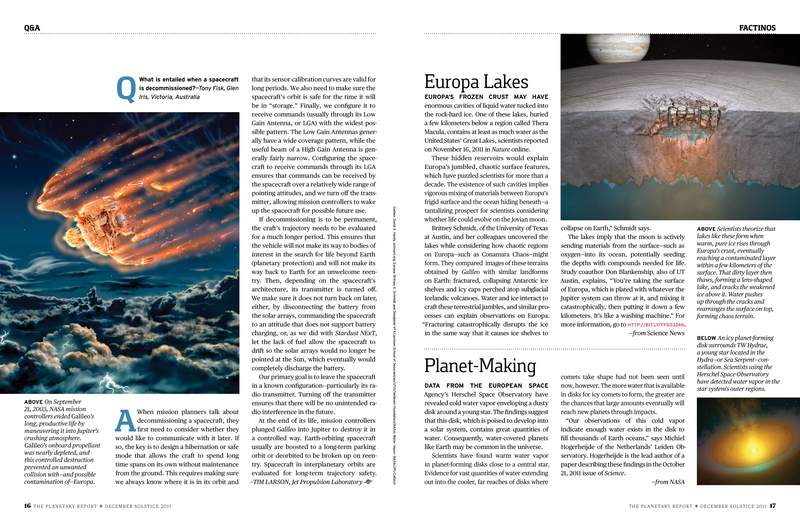 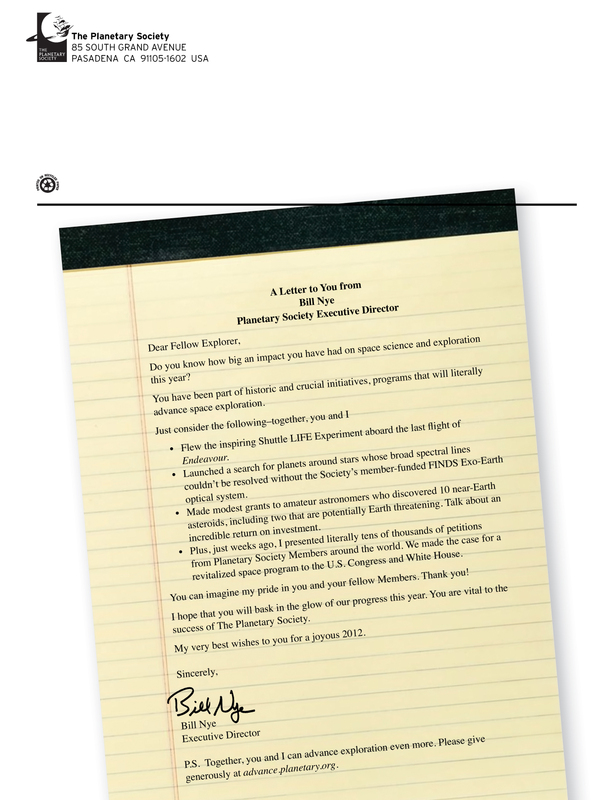 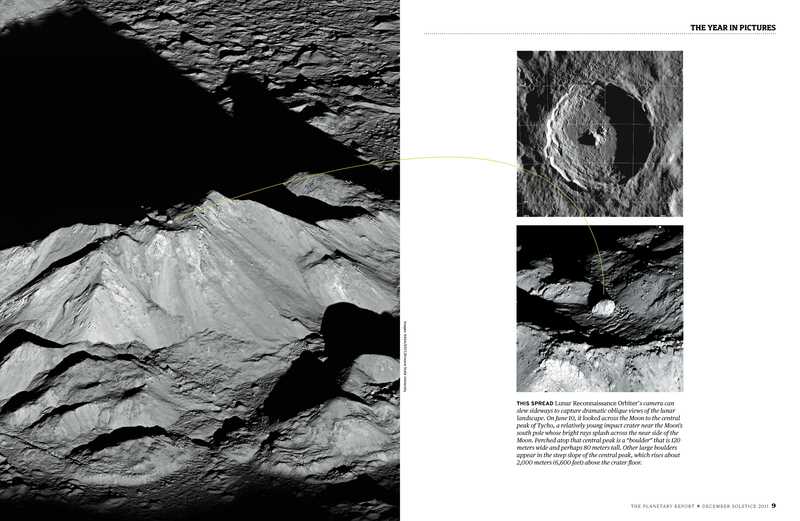 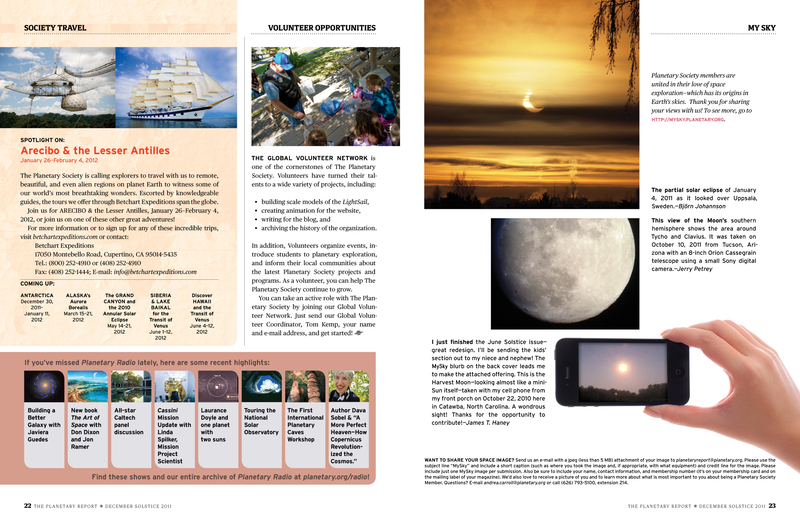 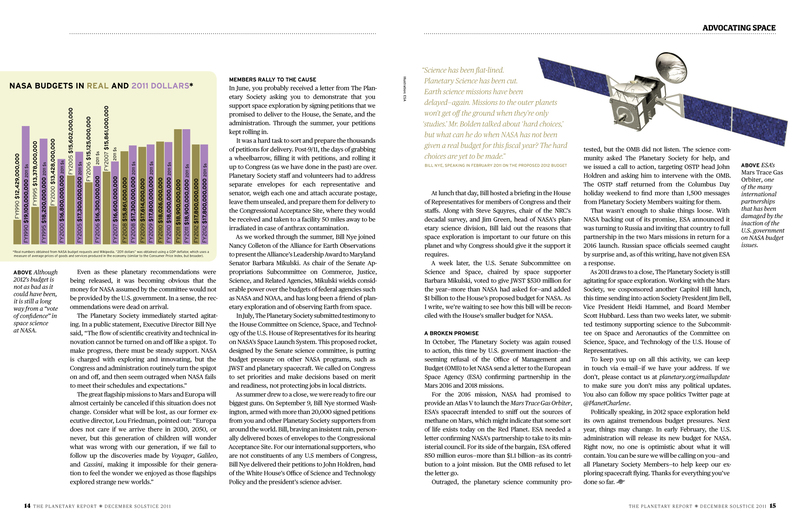 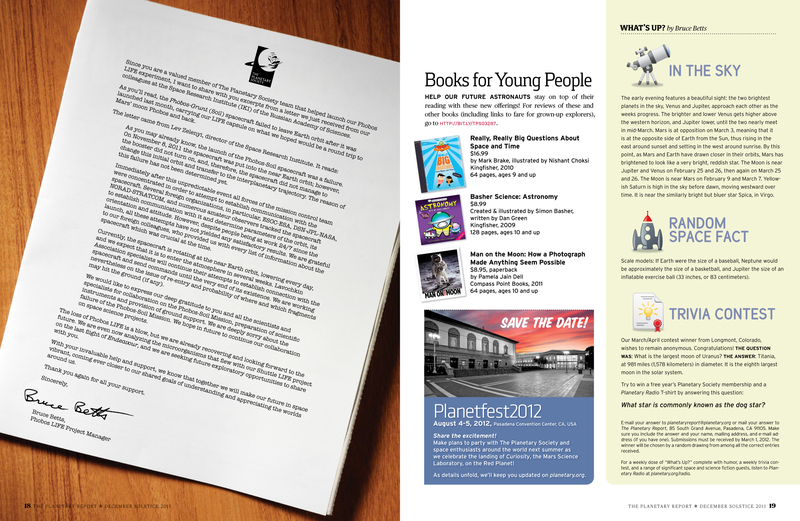 The December 2011 issue of The Planetary Report went out at the end of the year. 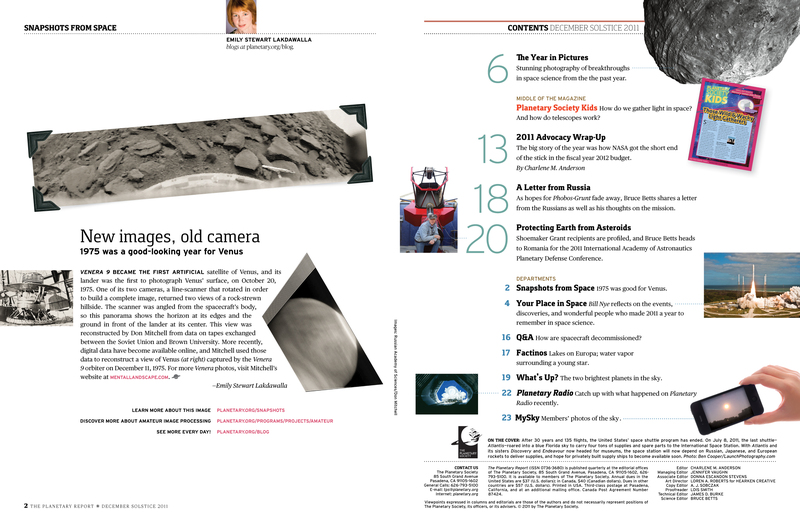 The final issue of the year is historically a “year-in-pictures” issue, and this issue did not disappoint with some truly stunning images splayed across the pages of the magazine. 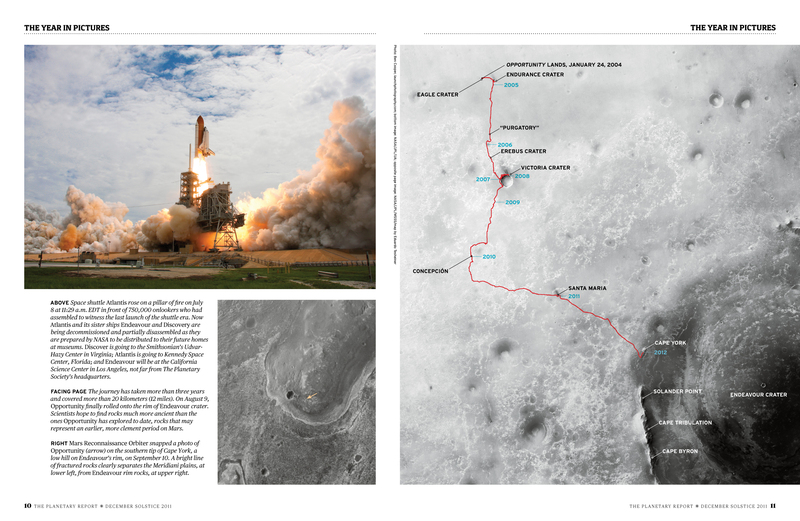 I was very happy with the work of our printer (The Dot Printer in Irvine, CA); they worked hard to capture my intent with each picture. 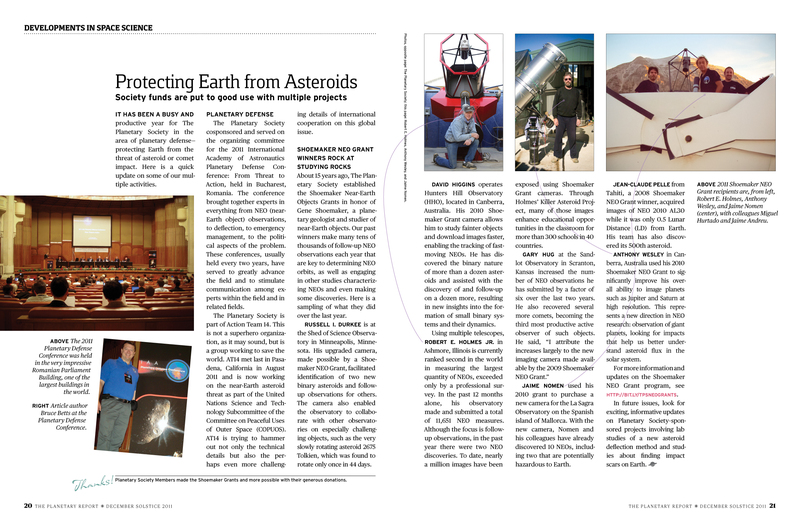 When I get a minute (kinda busy right now), a few people have asked for a “before/after” comparison: what we did in the redesign to give the magazine a new identity. 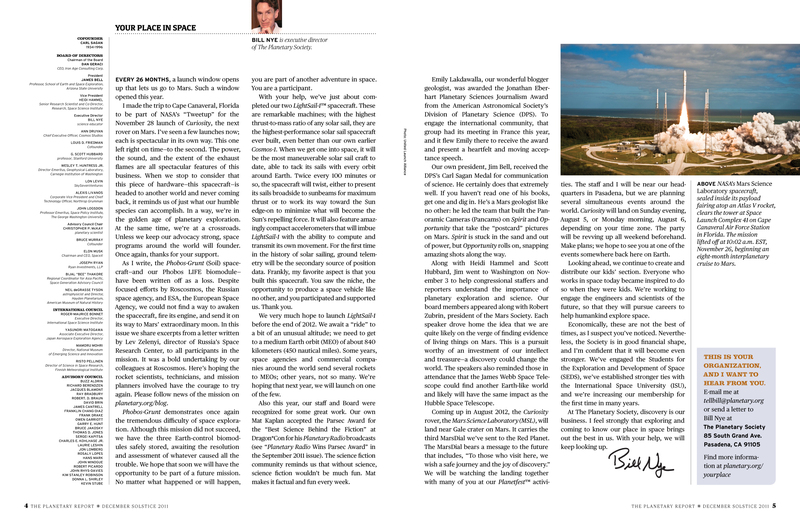 I would like to do that, although I must say that the design firm who did the magazine before HCS did a tremendous job for decades, so any “improvements” that I made truly attempted to take what had worked for years in the old magazine and bring it up to date. 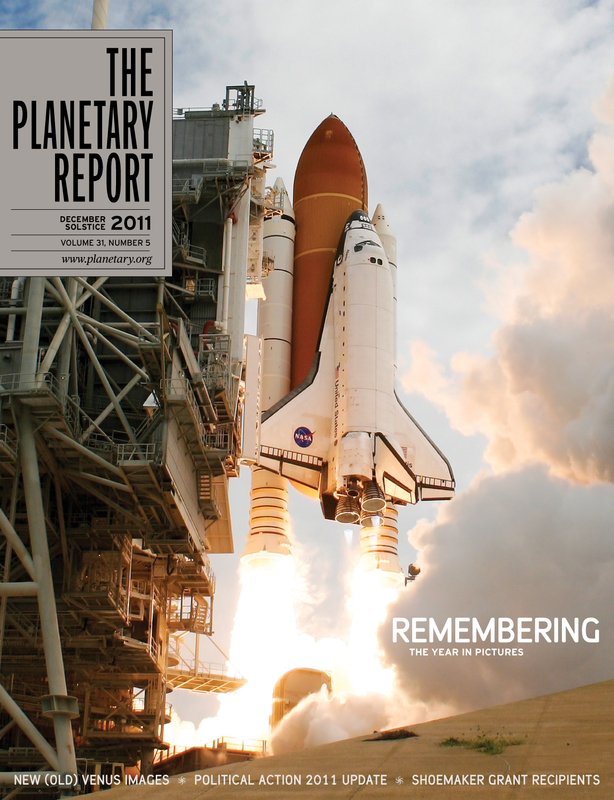 Join the Planetary Society today and get this magazine in your mailbox four times a year, and know that your donation goes towards space research, education, and advocating space within the governments of the world!